Lors du précédent post, nous avions laissé nos amis de Brooksfield et d'Italia Veloce à seulement quelques jours d'une date majeure pour eux, la London Tweed Run. Une semaine après la "course" revenons sur cet évènement très chic de l'univers du cycle et de la mode qui a réuni le 6 mai dernier quelques 600 participants pour une promenade en plein cœur de Londres. 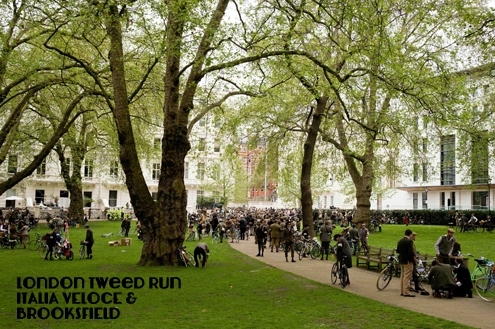 From a previous post, we have left our friends from Brooksfield and Italia Veloce at few days from a major event for them, the London Tweed Run. One week after the "race", lets come back on this very "chic" event from biking and fashion area, which gathered last 6th of May some 600 participants, for a ride right in London downtown. 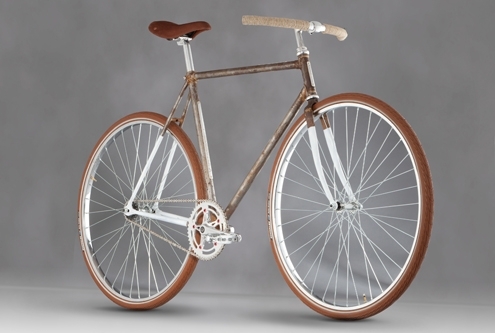 The fixie trend (bike with unique gearing) is giving back all is pedigree to bike culture, claimed today by hipsters. Bike is good, it's clean, and allow us to practice some sport. For those like me, who are not fancying a sunday ride, it can be also assimilated to a nice object, specially when biking is associated to a fashion trend.